If you’re arrested and charged with DUI in California, you have ten days from the date of your arrest to prevent your license from being suspended by California’s Department of Motor Vehicles (DMV). You’ll have to request a hearing in front of the DMV in a legal procedure that’s separate from the DWI charge. Don’t let ten days go by – in southern California, contact an experienced Orange County DUI defense attorney at once. 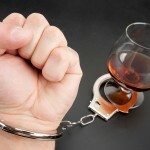 A good DUI defense lawyer can handle your DWI case and represent you before the DMV as well. California law allows the DMV to suspend the driving privilege of anyone who has been arrested for DWI (or DUID, driving under the influence of drugs) without the need for a hearing. You have to take the action of requesting a hearing, or your DWI defense attorney can request it on your behalf. Most Californians cannot afford to lose a driver’s license. Most adults need to drive for work, school, grocery and doctor trips, and childcare responsibilities. In the worst scenario, losing your license can mean losing your job or having to quit school. Don’t let a simple DWI charge – even before you’re convicted or acquitted – ruin your life. Let a good DUI defense lawyer take your case before the DMV and fight for your driving privilege. If you’ve been charged with DWI , requesting a DMV hearing within ten days of your arrest is the only chance you have to keep your license; otherwise, it’s automatically suspended. When you or your attorney makes the request for a license suspension hearing, a hearing date is set. If the DMV cannot schedule a hearing within 30 days of your arrest, an extension or “stay” of the license is made available. A defendant is eligible for a stay until a decision regarding the license suspension has been made by the DMV. Have an experienced DUI defense attorney guide you through the process; any incomplete or inaccurate paperwork or missed deadline may ruin your chance to keep your driving privilege. If you are charged with DWI now or in the future in southern California, protect yourself – and your license – and contact an experienced Orange County DWI defense attorney immediately. 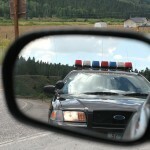 Why Do You Need A DUI Lawyer?